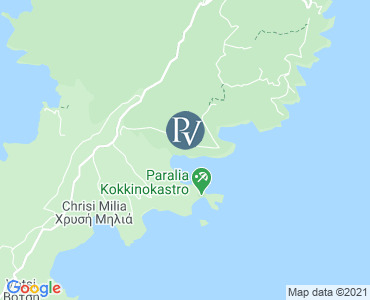 Villa Ioanna is a gorgeous three bedroom seafront Premier Villa on the south east of Alonissos (Sporades), an unblemished Greek paradise that shares nothing with the trappings of mass tourism. With its perfect location (only 50 metres from the beach) and laid-back sense of luxury, Villa Ioanna is a winning solution for families, couples, or small groups seeking comfort and total tranquility in the heart of unspoiled nature. The villa is set in an olive grove on Tzortzi Ghialos Bay – one of the undisputed jewels of Alonissos – and features luxurious rooms with panoramic verandas, modern furnishings, a heated infinity pool with hydro-massage and a private jetty. Villa Ioanna has 3 bedrooms and 2 bathrooms, as well as a small bedroom with a single bed, bathroom and laundry. The decor is fresh and bright, fusing comfort with cool minimalism and fine furnishings. The Villa features luxury sea-view rooms with veranda, a fully equipped kitchen and living room with fireplace and a generous veranda with an outside dining table and spectacular sea-view. Villa Ioanna can comfortably sleep 6 people (up to 8, using the sofa bed and the small extra bedroom). From Villa Ioanna a private pathway takes you directly to Tzortzi Ghialos Bay in just 50 metres. On Tzortzi Ghialos beach (connected to the main bay) guests will find the Villa’s private jetty, with a buoy to moor a boat. Meanwhile, the family-run “Tavern Tzortzi Ghialos” – one of the best on the island – is conveniently located on the beach, serving authentic home-cooked Greek fare in a welcoming atmosphere. Flights to Athens and then a bus from the center of Athens (Kanigkos Square) to Ag. Konstantinos and from there ferry boat (5hrs) or Flying Dolphin hydrofoil (3hrs) to Alonnisos. The bus service connects with the Flying Dolphins and both bus and hydrofoil tickets can be purchased at the same time from the office in Kanigkos Square. Flights to Thessaloniki and then a bus to Volos. From Volos ferry boat (5hrs) or Flying Dolphin hydrofoil (3hrs) to Alonnisos. Villa Ioanna is located on Tzortzi Ghialo Bay. Car hire is necessary to reach the property and for exploring the island. All prices are per night for the villa only. Villas are booked from 4pm on your arrival day to 10am on your departure day. Please note that availability shown is subject to confirmation - please call our reservations team on 01243 514970. An island least touched by tourism is Alonissos, the most serene island of the Northern Sporades groups of islands and known for its natural beauty and beaches. It is claimed that the seawater around Alonissos is the cleanest of the Aegean Sea. The old-world charm of Alonissos provides a tranquil and sleepy atmosphere. The beauty of Alonissos is also due to its dense pine forests that cover a large part of the island. Looking over the Sporades islands is the beautiful little village of Chora. The National Marine Park of Alonissos is the first Nature Park of Greece established in 1992. The Marine Park includes another six smaller islands and 22 uninhabited islets. In the area of the Marine Park you can swim and take photographs although fishing, hunting and camping are not allowed. The nearest airport is on Skiathos, and from there you can either get the ferryboat (about 1.5 to 2 hours, or hydrofoil: 1 hour). You can also get a hydrofoil or ferryboat from Volos or Agios Konstantinos. The Sporades is a collection of Greek islands situated in the northwest Aegean Sea. Enjoying a Mediterranean climate, winters are mild and rainy and summers are hot and sunny. Therefore, the islands have dense vegetation with pine forests, olive groves and orchards, surrounded by pure sapphire waters, which are home to a variety of wildlife including the monk seal and dolphins. Four of the islands are inhibited Alonnisos, Skiathos, Skopelos and Skyros and each island has something special to offer leaving you with a lasting memory of an island holiday.